Homesteaders learn to look at things commonly seen as a problem and figure out a way to use them where we actually enjoy them or they’re beneficial on the homestead. Weeds is one of those things. Today I have Kathie Lapcevic from HomespunSeasonalLiving.com on the podcast and we’re going to be talking about weeds and how to use them on your homesteading, both medicinally, and as food. 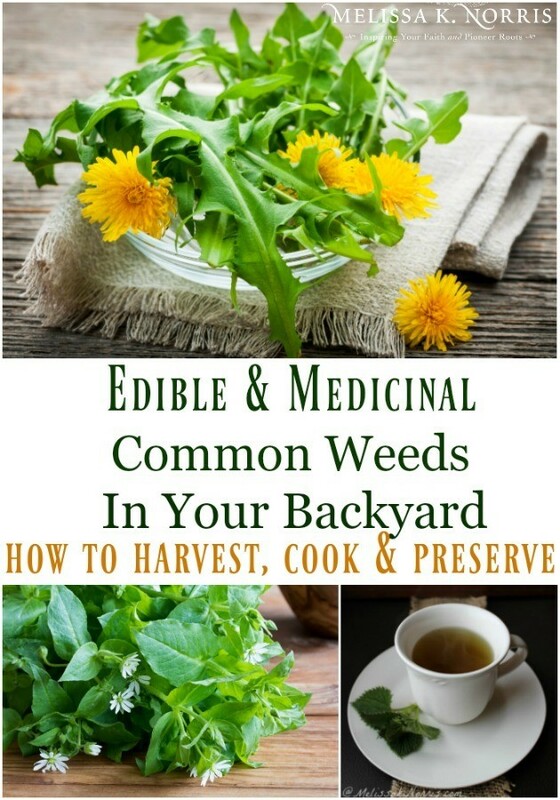 Listen below to 4 Edible & Medicinal Weeds Growing in Your Backyard and How to Harvest, Use & Preserve Them in Episode #142 of the Pioneering Today Podcast,where we teach families how to grow, preserve and cook their own food using old-fashioned skill sets and wisdom to create a natural self-sufficient home, with, or without, the homestead. Kathie: Let’s start with Dandelions. Every single part of it is edible and medicinal for that matter and relatively safe if we’re taking it medicinally. There are some people that might have to worry about the root if you’re taking a lot of it medicinally. But, as far as the greens are concerned, you can use them just like we use any kind of leafy green. eat them raw, like you would use lettuce or spinach. add it in your soups. Anything you would do with spinach, you can do with dandelion greens. 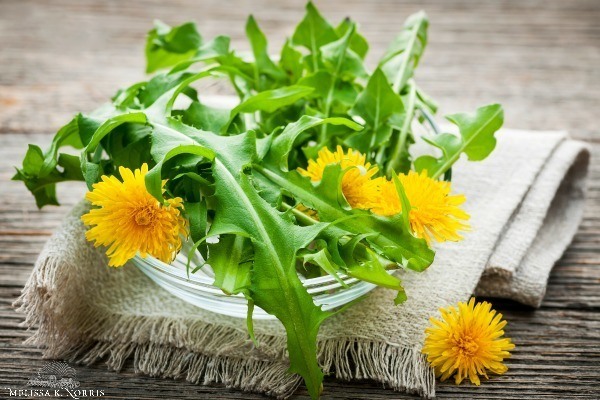 Most people don’t really use the dandelion greens for medicine anyway, you use the root or the flower. Note: Dandelion greens tend to be better when they’re small and before the plant goes to seed. Once it goes to seed it’s like most things that we grow, the greens will be bitter and almost too bitter for most of us to enjoy. You know people who really want a perfect lawn don’t see them as beautiful, but I love seeing a big beautiful field of dandelions. It’s just so fun. And it’s gorgeous and I know that that field is teeming with life, right, because all of our pollinators love dandelion blossoms because they provide nectar and pollen and so it’s just a great thing for the bees. But, we can still leave some for the bees and harvest plenty for ourselves. Dandelion blossom petals have a very faint honey-like flavor. They’re great in anything that you would want to do from sweet perspective. You can soak dandelions in olive oil, infuse it in olive oil or any kind of oil and rub it onto arthritic joints for a little relief. Kathie: Harvest them and cut the stem- you want to cut as much of the petals as you can and avoid a lot of the green (the seed poles from a botany term) but just the green part, the little green cup that the petals sit in. You want to get as much of that off as possible because that tends to be very bitter. Cut the blossoms off and use them fresh when you’re baking with them. Dandelions tend to be really hard to dry completely-they go to seed. Melissa: The dandelion blossoms are best just harvested and used fresh, unlike the leaves and root that can be preserved. Kathie: Most herbalists use the root. Dandelion root has kind of a faint coffee-like flavor, especially when it’s been roasted. Pull up as much of the root as you can, it’s a very long tap root. Scrub it really well. roast them in an oven until they just get a little bit roasted and crispy and then grind them and store it for tea or dandelion coffee. For tea or coffee you’ll want to let it steep for a while. I’ve used the dandelion coffee, the tea, just like you’d use coffee, in brownies or a cake. Dandelion root tea is really good for helping flush uric acid from the body, which is what people who have trouble with gout and other things, so it’s a really healthy thing to drink and it tastes good. It has a bitter, coffee-like flavor, so I guess if you don’t like coffee you probably wouldn’t like dandelion tea either. Now, as far as eating wise, is there any way, I’m thinking of the root vegetables, you know how we’ll kind of roast a root vegetable with a little bit of olive oil, some garlic. Is there any way of incorporating into your meals that dandelion root like that? pan roast them – they can get a little bitter if you roast them too long. So you want to be careful that they don’t burn. You know how garlic, if it gets a little too burnt, a little too cooked, can be a little bitter. Dandelion do that. Kathi: All parts of chickweed is edible, the flowers, leaves and stems. It is more of a bland flavor then most things. The great thing about that bland flavor is that I can add a lot of bulk to things and help stretch the grocery budget. pesto out of it and it’s gonna be kind of bland, but if you want to make a basil pesto for instance, you could just use a little bit of basil to give yourself enough flavor and then fill it out with chickweed. You can freeze pesto or eat it with a spoon. raw, use in your salads or anyway that you would use any other sort of green. smoothies. It freezes really well and you can toss it into your smoothies all winter long if you want to have a little green. noodles. I will mix a lot of greens, dandelion greens, chickweed greens and other things with eggs, like I’ll put them in the blender and mix it up and then I use that as a liquid to make egg noodles. Harvest time frame for chickweed: if you wait too long into the summer it might start to get a little bit bitter and they do tend to dry out, at least mine don’t sit in a spot where they get a lot of natural water. So I eat it when it’s fresh in the spring, but I let it die back when it gets too hot in the summer. Once it starts to get a little dry it’s probably not as flavorful as when it’s young and fresh. 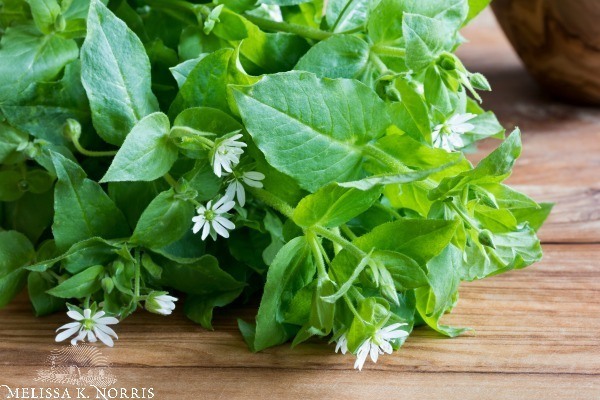 Chickweed is actually a diuretic, so if you had way too much of it, it will kind of flush out your system. It’s often used in a lot of creams that help fight cellulite. It also is really good if you have itchy skin externally, it’s really good to put in a salve or an oil because it helps with itchy skin. Because it has that diuretic effect, it can help cool you down. You want to maybe put some in an ice cube to toss into smoothies later or kind of thing. It can help cool a body down. 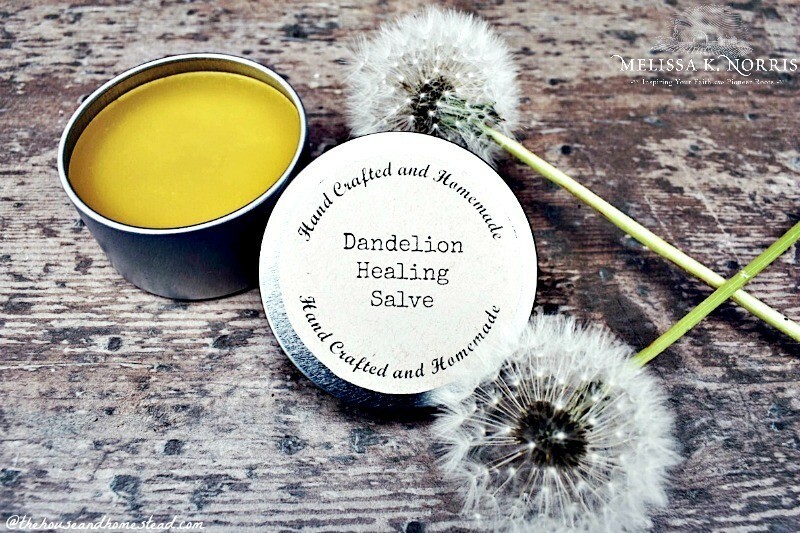 Kathie: It’s good stuff and as I get older the skin on my legs tends to be very dry, I made a salve out of chickweed and balsam root which is a plant that grows here in Montana to help with the itch. It’s very soothing because I use some beeswax and some really nice oils and infuse it and it really does help better than any commercial lotion I’ve ever purchased. Violets aren’t necessarily a weed, but they’re definitely something that grows wild. You can eat the leaves and flowers of violets, but don’t eat the seeds. That’s the one thing to be cautious of. If the plant has gone to seed, just ignore the seeds. Violet greens are edible and so are the flowers and again, the greens we would just use like we use any kind of spinach or anything else. Sometimes violet leaves can get quite large, you can stuff them like you would stuff cabbage leaves. You can do that with nasturtiums too. Nasturtium leaves have a little peppery flavor, but you can definitely stuff them depending on the variety. The violets are really good and flowers have kind of a sweet flavor and so they’re really good. You can just eat them, they make a really beautiful touch on a salad or whatever. If you infuse them in anything, like vinegar, the vinegar will take on that beautiful deep purple color. You can make your own vinegarette for your salad out of that and it will have kind of just a touch of sweet flavor, but it will still be vinegary and not enough that, it’s not so sweet that you wouldn’t want to put it on a salad. Add violets in a pot and bring it to a boil. It will have that beautiful color and the flavor is obviously gonna be sweet because of the sugar. But, we’ll still have that violet flavor which is just kind of a sweet little floral flavor that’s super yummy and beautiful. Use the violet simply syrup to make Italian sodas. There are people who make violet jelly just like dandelion jelly. It has that really pretty purple color. But again, a lot of sugar and fickle to gel. My favorite violet is the Swiss Giant pansies, which are in that same family, and so they’re these giant beautiful flowers but I grew them specifically for the leaves. I grew them last year and they grew really well for me in my climate. I grew them in pots, kind of in a covered area so that they would bloom all summer long, so they were really beautiful. They don’t like it when it gets really hot, they would not survive the southern summer heat. They’re better off to do kind of maybe in like a partial sun or a little bit more protected, part shade area. Kathi: I know everybody’s kind of like oh gosh stinging nettles, and they want to run from them, because they’re painful of course if you get stung by them. But, you know if you harvest them with your gloves on and if you cook them, the nettles fall off, the stinging part falls off so you can absolutely eat stinging nettles and they are super nutritious. sauteed-I tend to cook them and just toss them with rice or noodles and a goodly amount of crushed pepper and it’s really very good and again it just tastes like a green, like spinach, but they’re way higher in nutrition than spinach. Tea or infusion- a lot of people will drink stinging nettle infusions because it gives energy and other things. 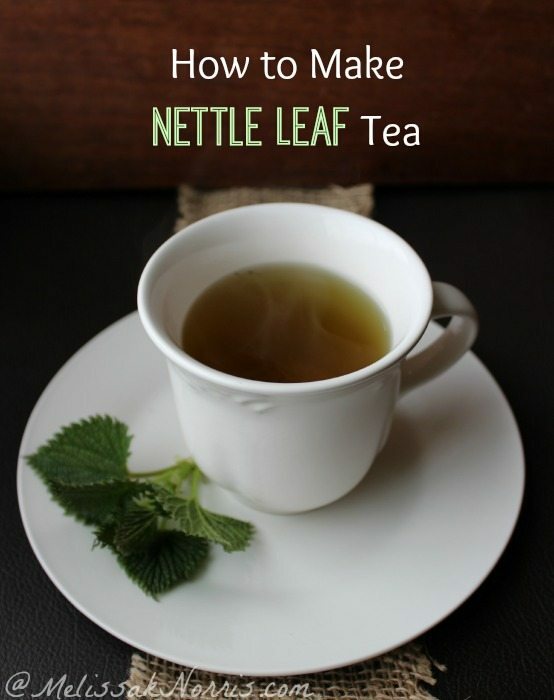 dehydrate- You can dry stinging nettles and when they dry they won’t sting you anymore so you can use it in the winter in a tea type of thing. Create a green powder to just throw into soups or stews when I don’t have fresh available anymore, just to get those extra nutrients in and of course you could even use it as like a green powder. Melissa-I don’t normally powder mine up, I think once the leaves are dry, I just kind of will toss them in whatever and just kind of crinkle them with my hands if I wanted smaller. with eggs- saute it with some butter and garlic and then saute those then throw an egg over easy on top. That’s one of my favorite breakfasts ever. Melissa: Use thick enough gloves when harvesting. We had some little, those disposable thinner gloves and sometimes they’ll sneak through there and you’ll feel a little bit of stinging. So, I try to make sure I’m using a little bit of a thicker glove when I’m harvesting them just to avoid any of that. Kathi: I’m not kidding, we have bees and so I’ve got the bee gloves. So they’re the long gloves that kind of go up over your clothes and have a really nice kind of leather gloves. It’s a thinner leather, it’s not like a super, but if they can prevent a bee sting from going through it will prevent a stinging nettle from going through. So I use those. So, if you have bees, use your bee keeping gloves. I have an herbalist friend who swears by stinging yourself if you’ve got really bad arthritis with stinging nettles. Kathie: Yeah, you have to have a certain level of pain tolerance to do that and I would maybe ask, or try very gentle little nudge of it, but yeah, she swears by stinging herself just a little bit in the area that’s affected and says that it’s very helpful. Melissa: That’s fascinating and now I’m really curious as to how it would actually work. Is it just taking your focus off a different pain. Kathie: It helps with the inflammation a little bit. In the long run it helps with the inflammation. Kathie is one of the 26+ presenters in the 2018 Modern Homesteading Summit coming this June. Make sure you subscribe to our newsletter and the podcast to get the details to get your FREE ticket to this event.